Two years ago, our team began construction on our 100-gallon micro distillery on Market Street. A few months later, we began distilling the first whiskey made in Chattanooga in 100 years—a great moment of historical perspective that continues to fuel our passion to this day. 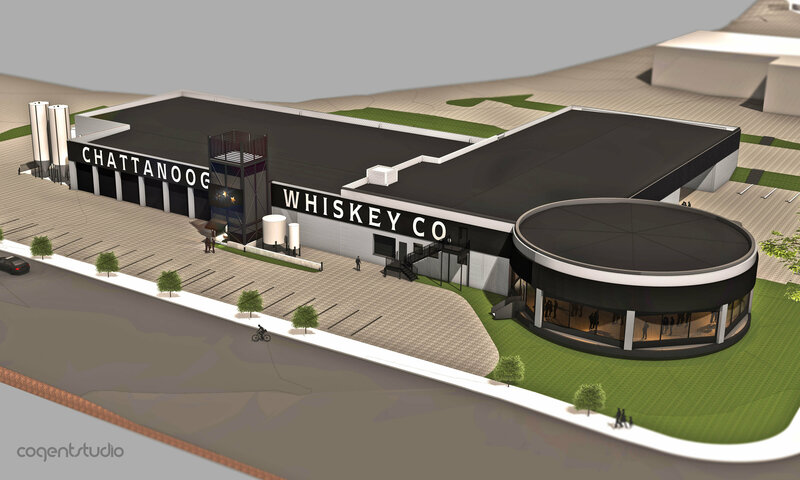 Today, we find ourselves in the midst of constructing a new state-of-the-art production distillery on Chattanooga’s historic Riverfront Parkway. With the capacity to make over 50 times as much product as our micro-distillery, this facility will ultimately allow Chattanooga Whiskey to reach more hands (and lips). While it will take time to fully utilize our new distillery, this jump in production gives us another swift change in perspective and underscores the importance of picking the right recipes to scale up. In nearly two years of research, development, and distilling, we continue to gain new perspectives. More importantly, we’ve begun to find our “voice” as whiskey makers. So far, our distillers have sent about 6,000 proof gallons of whiskey to barrel—equating to nearly 120 x 53-gallon barrels. Although this isn’t much in the grand scheme of things, it IS a lot considering many of these barrels are pretty different from one another. Many ideas within these barrels are familiar (many are bourbon), but our approach has always been to test our assumptions of what bourbon can be and make the best whiskey possible (see: “Rules are Good, Change Them”). 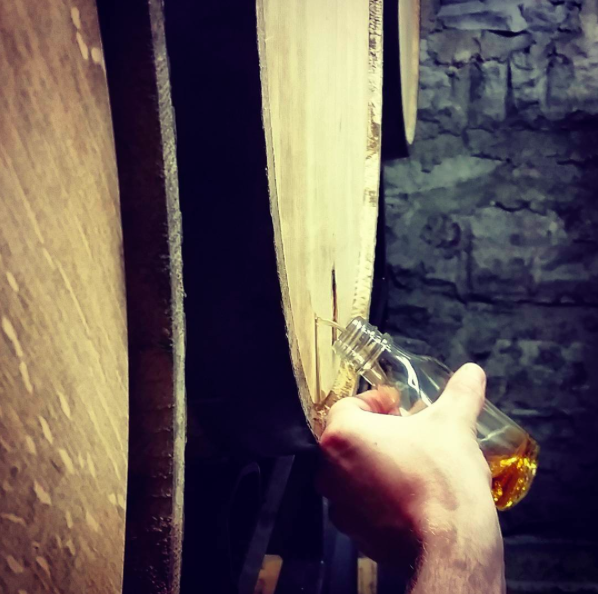 Attempting to find one’s voice within one of many barrels is not an easy process. Outsiders generally see the fun aspects of tasting and distilling new ideas; insiders understand the challenge of fatigue, focus and digging for answers in two years of data. Again, perspective. Now you’re probably thinking, “did this guy just compare Chatt Whiskey to Dylan”? Of course not. But, we distillers, like artists, only have minutes of your time to make an impression, and sometimes the decisions we make are based on more than just a strict formula. In music, the average record can last 35-45 minutes. A whiskey “neat” hopefully lasts you a similar length of time. There’s a kind of long-form storytelling to both—with a beginning, middle and end. Similarly, we hope your dram has balance, top notes, and complexity that make you come back again and again. Which takes us deeper into the process of creation. In my experience, no person is an island and creative epiphanies are never born from nothing. Everyone is influenced by their peers, role models, attitudes and…perspectives. It can take hours or even years of revisiting and communicating ideas, gaining feedback from others and refining ideas even further. Even our role models have role models. Dylan had Woody Guthrie, for instance, but there’s a reason why you don’t always hear Guthrie in Dylan—he was an early influence and, from there, Dylan found his own voice. Here at the distillery, the creativity of the brand belongs to no one person. Our CEO and founder looks to his employees for feedback and perspective every day. 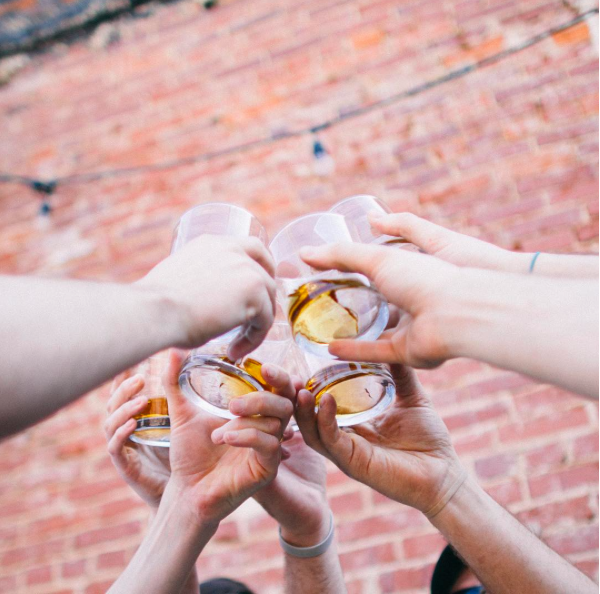 Our leadership team, ambassadors, and distillery team do the same when coming up with plans or solutions. Our team is comprised of visual artists, brewers, performing artists, bakers, jewelry makers, bartenders, the list goes on. Each of these individuals provide their own unique set of influences and perspectives that undoubtedly influence the flavor and tone of the whiskey we make. Different from a singular artist, we are attempting to attach our collective “voice” to a product that we hope will outlast us all. Now is the time that “Chattanooga Whiskey” truly becomes “Chattanooga Whiskey”. As we look to the future, we have a unique opportunity to define our own voice, write our own story, and make our own whiskey(ies). Partly molded by the influence and perspective 1816 has provided, the new formulas will have some traditional, familiar characteristics. But, we also value other flavor-drivers like malt, yeast, barrel treatment, finishing barrels, entry proof, etc. Outside of the traditional bourbon requirements, there’s plenty of freedom to flourish. 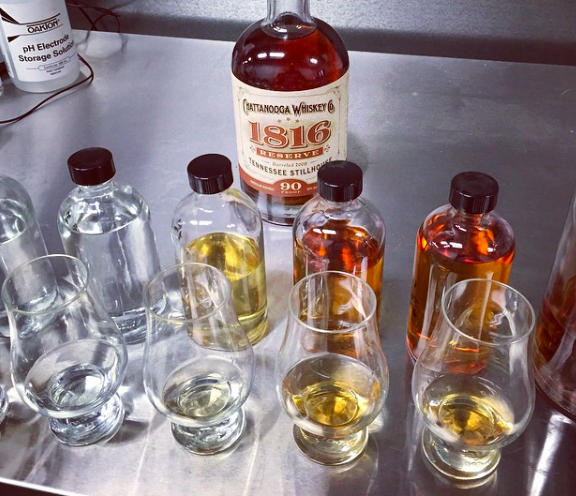 Will the new Chattanooga Whiskey be familiar? In some senses, hopefully. Will it be our own? Absolutely. Every month, we move further from point A and closer to point B: the first, official, aged whiskey made in Chattanooga in over 100 years. Undoubtedly, these first releases will be experimental in nature. The Tennessee Stillhouse is first and foremost an experimental facility and will continue as such for the foreseeable future. Think of it as a “demo” of what’s to come. In some cases, the ideas and “voice” we express will be unfiltered and exploratory. In others, we’ll attempt something very close to a final product. We’ll taste and change our approach until we’re satisfied an idea is ready to “record” in our new facility. As Dylan has said about his own songs, “I’ll let other people decide what they are.” So whenever you taste the next version of Chattanooga Whiskey, we hope you’ll bring your own interpretation, based on your own unique set of experiences. There aren’t many drinks in the world that can give you such an immersive, interactive, and evolving experience. All we hope is that your time with our whiskey is time well spent…and it brings you a fresh perspective.